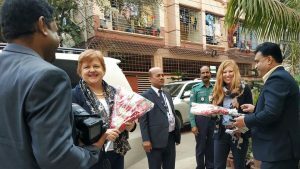 Australian High Commissioner to Bangladesh, Her Excellency H.E. 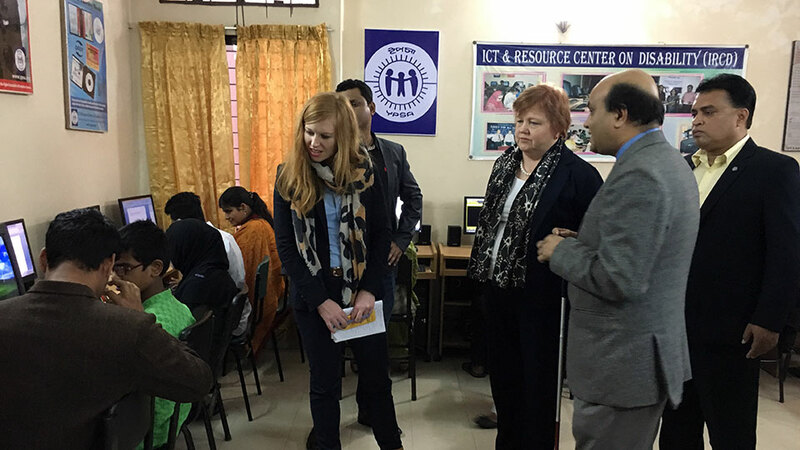 Julia Niblett visited YPSA’s ICT & Resource Center on Disability (IRCD) in Chattogram on 21 January. 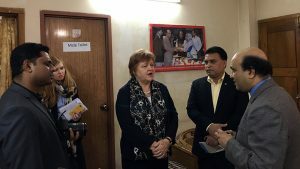 Ms. Jane Hardy, Second Secretary and Mr. Nahil Imam, Program Manager (Development Cooperation) Australian High Commission in Bangladesh also accompanied her. 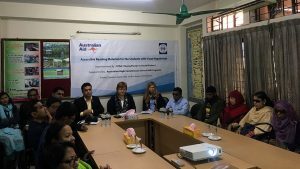 Australian High Commissioner interacted with the visually impaired students at the IRCD. Students with visual impairment showed them how to operate computer and smartphone as well as how to access reading materials in spite of their blindness with the help of technology. 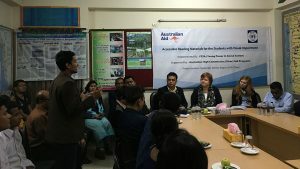 She attended a sharing meeting at the conference room of YPSA. 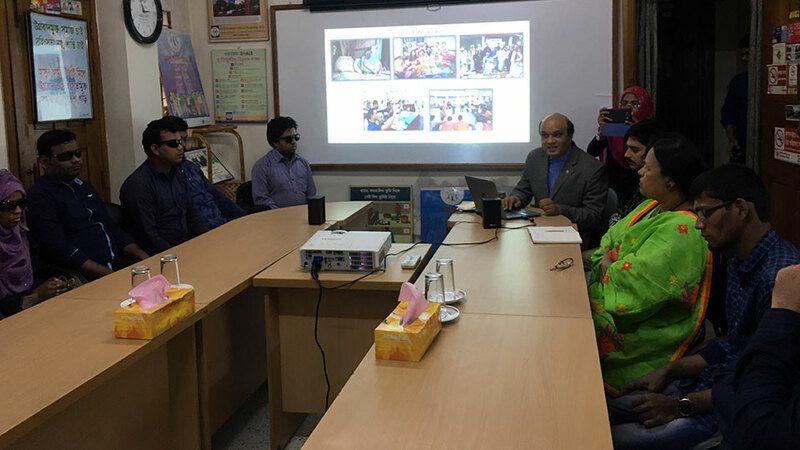 Mr. Vashkar Bhattacharjee, Team Leader of IRCD gave a PowerPoint presentation on YPSA and its work on people with disability. Md. 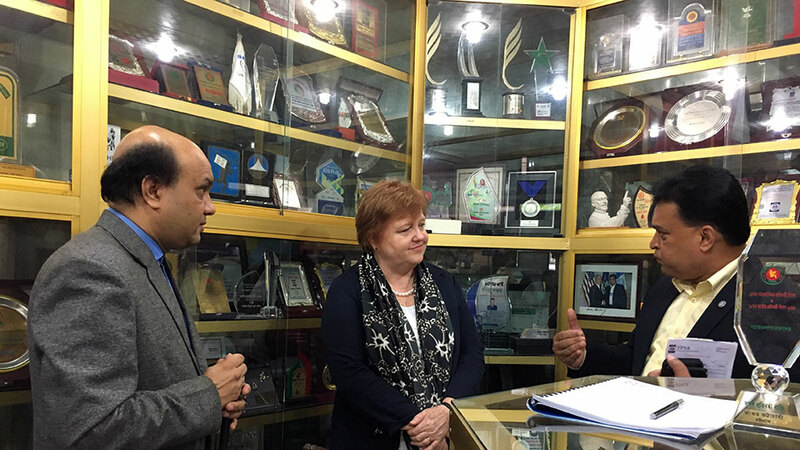 Arifur Rahman, Chief Executive at YPSA presided over the meeting. 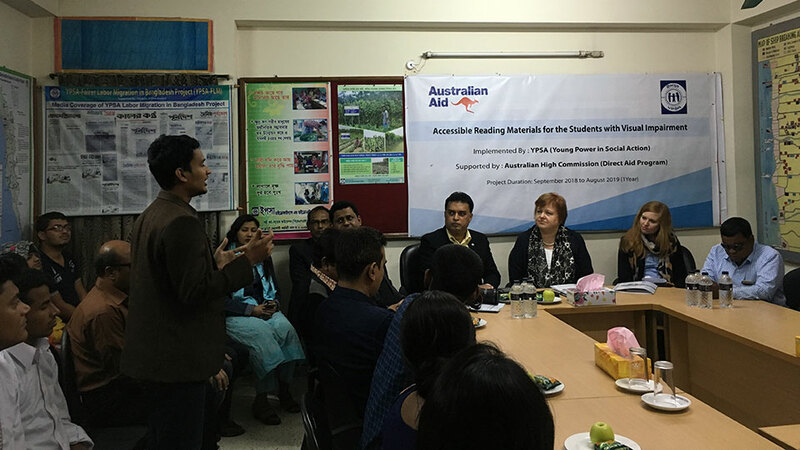 Visually impaired students and other senior officials of YPSA participated in the meeting. 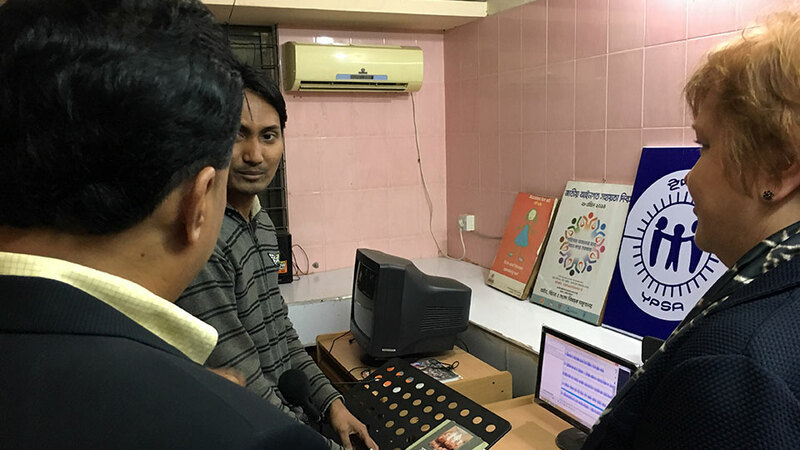 Visually impaired students from University of Chittagong and other educational institutions expressed their opinions. They thanked to YPSA for making their access to learning in a manner equal to that of sighted peers. 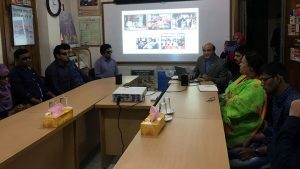 They emphasized on the availability of assistive technology devices, raising awareness of mass people about their competency, motivating employers, creating environment to work equally as they can live their life with dignity. Australian High Commissioner said that she was pleased to have the opportunity to explore the greater inclusion of persons with disability through YPSA’s initiatives. She also praised YPSA’s work with the partnership of Access to Information (a2i) programme of the government of Bangladesh. 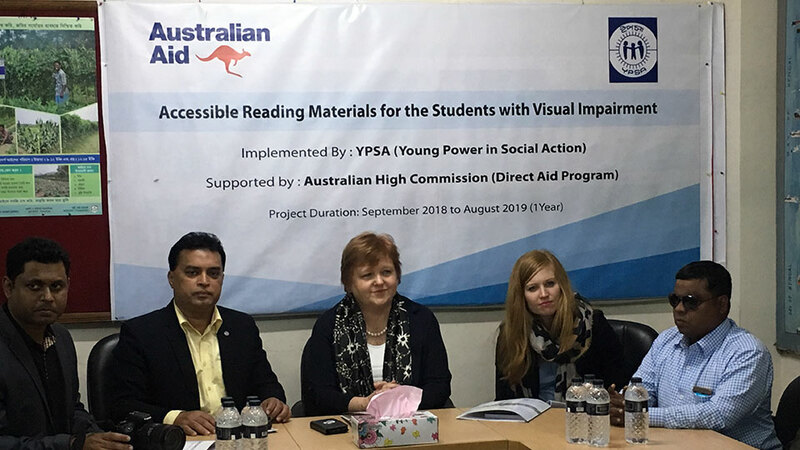 It is worth mentioning that YPSA has been implementing a project titled “Accessible Reading Materials for the Students with Visual Impairment” with the support of Australian High Commission (Direct Aid Program). YPSA officials welcome the team with flower.